As a programmer, I have always kept this saying by John Johnson in my mind. A programmer is not only a software professional but more of a language designer. The need for an effective programmer is on rising and that justifies the need for good coding principles. The fundamental guiding principles include a number of variables with productive programming skills. When it comes to explaining coding in a simple language, nobody can be as accurate as John Johnson. As a matter of fact, he clearly defines the necessity to discover the prime ways to make the programming principles all the more apparent to users. The numero uno principle in this regard is quite common in other fields too. Necessity is the mother of invention, and simplicity is the level of quality. The more simple approach you will use in developing your programme, more successful it will become. Avoiding complexity is quite an important factor to follow when it comes to programming. A simple code will take lesser efforts to formulate and will also prevent from bugging hassles. Along with that, they are also quite easy to modify and abstract to memorize. Well, actually it is just one R and that is “Refractor”, but due to its essentiality, it needs to be implied time and again. It is not a very uncommon thing if you are unable to create the code in the first attempt. Rather, it actually is quite rare to get the right code in one go. An inexperienced programmer mostly faces this trouble and there is nothing to worry about. The only thing you should concern about is to practice it more coherently. Now, coming to the apparent 3 R’s of programming, it is important to make sure to check for these three variables. 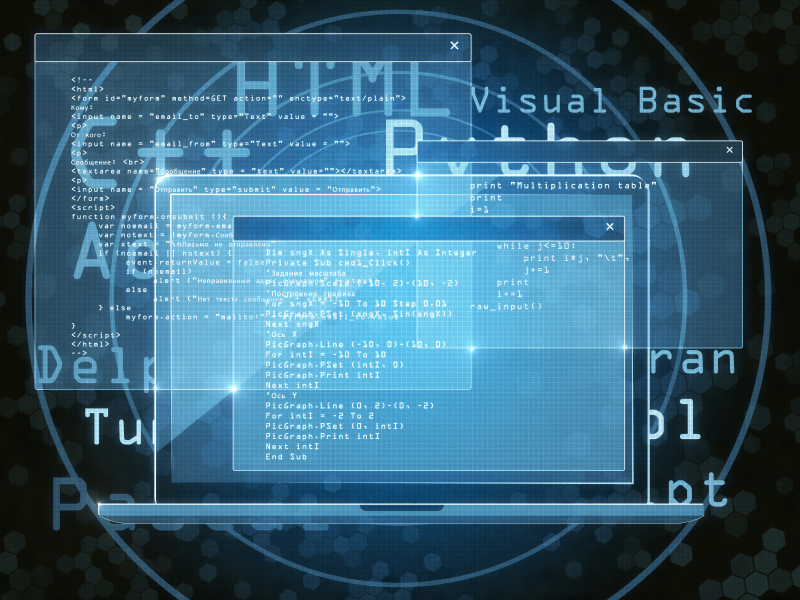 While programming a certain site, a coder may get tangled up with growing complexities. In that case, he should consider revisiting the site again in order to prevent it from any further hindrance. A site may include the need to redesigning a bit or even the need to rewrite. Refracting old codes are also one sure way to modify a certain glitched programme that requires programming assistance. No matter how much tempted you are to write a clever code, but you must try to avoid it as much as possible. You should always refrain from drafting a code that looks more like a riddle rather than a solution. There is no need to prove your smart tactics over here; comparatively, you should be primarily concerned about making it more user-friendly. However, one trick from clever code that you can utilize is to fit good sized logic into a single line. Secondly, you can try to modify the intricate meaning of a language to explore its intrinsic functional statement. try to make it as random as possible but do not get overboard with it. A good programming code is incomplete without a readable code and also implies advance programming language like Python. Write your programming codes with ease and do not strain out or even take it too much to stress upon its accuracy. Modify as much as possible and the refractor is always there to help you out. You must have heard about the YAGNI principle (discussed later) but there is a thin distinction between the two. The distinction is such that it is more directed towards the boosting up of algorithms. On the other hand, the YAGNI principle is more concerned with the need to implement the behavioristic approach. The only uncertainty in this matter is the effort used up while boosting the function in addition to bottleneck. Thus, you need to make it know about what you have in your mind. The next principle will help you immensely in this regard. Just as unique as it sounds, it is quite a common principle that puts more concern over behavior implementation restricting you from coding for functionality. This helps one to decrease the possibility of preparing complex codes. It is at par with the other principle of DRY or more specifically called “do it yourself”. It is well concerned with the elimination of repetition of logic or data and is conflicting with WET code. The abstract information about each code is a methodical approach to towards programming tricks. Signs of a good programmer is that he writes everything quite literally to merge it out as one absolute method. The algorithm of codes is based upon the programming languages and thus plays a crucial role in making things simple and acute.